Change the powder charge or the spring? I am trying to find a good combination of powder charge and spring for my gun. I am shooting a Mountain Competition Pistol .45 Wad Gun and moving to using cast 185 grain semi wadcutters (Saeco # 130 mold). I have an Ultradot Matchdot on a slide mount with a 10 lb spring. The gun is pretty new and this setup has worked well for a 200 grain semiwadcutter with 4.0 grains of Bullseye. It certainly shoots far better than I can hold. I started with the same 4.0 grains of Bullseye and the 185 grain bullet. The load seems to be very accurate, again the limiting factor is clearly me not the gun. However, with this load, the slide does not lock back at the end of a magazine, and once did not go all the way to battery. That tells me that the charge and spring combination does not fully cycle the slide and that I either need to up the powder charge a tad, or put in a softer spring. I have 8 and 9 pound springs at hand and so I could change either the charge or the spring. I know the correct answer is to try both changes, one at a time, but I thought I would seek your advice on which to try first and any advantages of one route over the other. I would like to keep the low recoil if possible. So, first, is my reasoning correct, and, if so, what do you suggest also, if I go with increased powder, would you suggest .1 or .2 grains more to start? Thanks for any help you can supply. Re: Change the powder charge or the spring? I'm only shooting 3.8gr be with a very similar setup on my Springfield. Same scope etc. I just have a conventional recoil spring setup with a 10lb spring. I don't have a recoil reducer on mine. Never have any trouble. I know that my setup is close, (and your experience confirms it) but don't know which variable to try first. Maybe the MCP is tighter than the Springfield or the slide is heavier, but the 4.0 of Bullseye is not quite doing it for my setup. It could be that there is no reason to try one variable over the other, but I am hoping someone will have a rationale for which would be more likely to work and produce the least felt recoil. The recoil with 185 gr was so much lighter than with a 200 gr bullet that I was very suprised at the 1st shot- almost to the point of looking for a squib - but there was a new hole in the target. If you are trying for light recoil, then go to the next lighter spring. Maybe remove that recoil damper? Lose the Sprinco and go with 4.1 - 4.2 BE and 185g H&G 68 style bullet. Work to accept the recoil. i would not go under 10 lb, lower than that and the slide does not move forward in a solid manner unless your gun is really loose. Agree on the buffer, take it out. This has been an education in the inner workings of the 1911. Friday I took the gun back with a variety of loads and springs from 8# to 12#. I had previously determined that the problem did not seem to be related to any one magazine, it seemed to malfunction regardless of which of the four I have was in use. I normally rotate all 4, for some reason that seems the right thing to do but i couldn't tell you why. In any event, I just used 2 of the 4 at first and after about 50 rounds, realized that 1 magazine was having all the jams. I then tried the other 2 and they had jams as well. So I have 4 magazines and 3 of them jam and 1 doesn't. Ahah!! I took them all to my shop and measrued the width and feed lips. The one that works was narrower by .003-.005 inches. A bit of attention with a vise and a small hammer made them all the same as the one that worked. 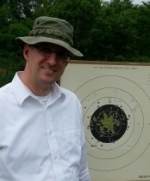 Today I had a chance to try the gun and all magazines work properly with the reduced 185 grain loads. I should have realized when I said in my 1st post that the slide went to battery upon ejecting the magazine that the problem was with the magazine, but did not expect to have 3 out of 4 be a problem. Studing the wear on the magazines showed that the edges of the feed lips on the bad magzines were worn shiny at just the very top edge. Apparently this was the source of friction causing the problem. The mags will cause fail to feed if the springs are weak, change to the wolf mag springs. I periodically give all of my magazines a thorough cleaning as I have discovered the hard way that the mags do acquire a build up of crud that can cause failure to feed issues. I used to disassemble them each time and use a brush. I still do that occasionally but more often I let them soak in my dip tank of 50/50 mineral spirits and deodorized kerosene. Swish them around the next night, blow them out with compressed air and lightly lubricate. It keeps them running smooth as silk. DavidR wrote: The mags will cause fail to feed if the springs are weak, change to the wolf mag springs. Think "GREEN", recycle your weak springs..Send them to me..